A fatty belly can dull the body’s response to insulin. Insulin is a hormone that helps the body processed glucose for energy. When the body is no longer responding to the effects of insulin, more insulin is released into the bloodstream. This can throw the balance of the system off. Eventually, if you’re no longer sensitive to insulin, you will develop insulin resistance syndrome or metabolic syndrome. This condition affects over 50 million of Americans each year. It can cause an umbrella of health problems including type-2 diabetes, heart disease, vision loss and hypertension. It’s no secret that a big belly increases your risk of heart attack. According to a study published in the British Medical Journal, anyone with a body mass index of over 30 has larger belly and they are at risk of various heart problems compared to those with normal BMI. A separate study found that obese individuals are 1.4 times at risk of dying compared to individuals with a smaller waistline. Studies show that people with larger bellies are subjected to more intense stress levels compared to individuals with smaller waistlines. When under stress, the body releases more cortisol into the bloodstream. Cortisol is a chemical that triggers the body’s fight or flight response and raise stress levels. Unfortunately, this chemical can also encourage the accumulation of more belly fat. Some experts believe that belly fat could be the body’s response against stress. Eventually, constant exposure to stress leads to a variety of chronic diseases. Belly fat is usually made up of visceral fat, which produces more amounts of dangerous chemicals than normal subcutaneous fat. Visceral fat accumulates deep into the midsection where it wraps up nearby organs such as the liver. What makes visceral fat dangerous is that it targets important organs such as the heart and the liver. When these organs are wrapped by visceral fat, dangerous chemicals are mixed into the blood and injection into critical organs. One such harmful compound is free fatty acids. Free fatty acids can disrupt the liver’s production of fats and this can affect the balance between good and bad cholesterol in the body. This can increase the risk of fatty liver disease and hepatitis B. The visceral fat in the belly may increase the risk of developing breast cancer, especially in menopausal women. After menopause, the ovaries no longer produce estrogen, so visceral fat will start producing this chemical. An overweight woman with extra fat cells will start releasing more estrogen from visceral fat. All the extra hormones may trigger the growth of malignant lumps in the breast. 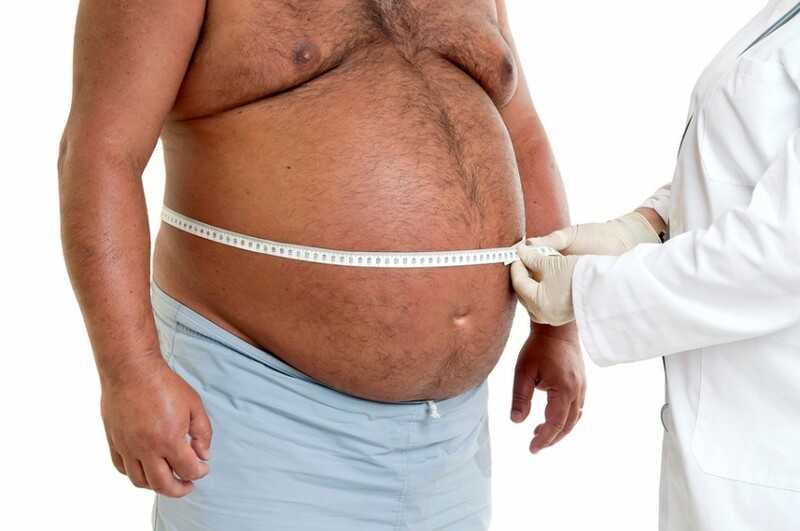 Men with large belly fat are at a higher risk of developing colorectal cancer than those who have a smaller belly. Excessive belly fat triggers the release of more cancer cells.